This tiny A5 sized doujinshi was released during Comiket 74, which sounds like it was ages ago although it was just summer 2008. 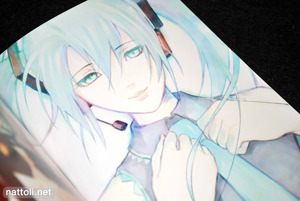 I hadn't heard of the artist before buying the book, but the price was right for a 40-page almost full color doujinshi (there are 10 pages of black and white for a story with illustrations). 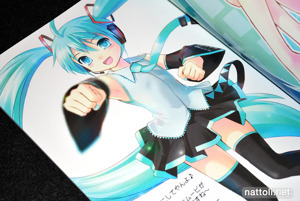 The first half of the book is solidly dedicated to Hatsune Miku, in different outfits and sometimes nothing at all. The drawing style seems to vary wildly from illustration to illustration, mostly because they were drawn years apart, but also because Momose Hisashi (百瀬 寿) does seem to want to try evolve his style. 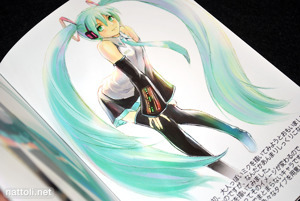 There is also some weirdly inconsistent (bad) Hatsune Miku art work, that I assume (and hope) is just guest art, though if it is, it's not clearly indicated. After the Hatsune Miku art finishes, it's on to Rio de Channel! Rio is a popular character that appears on pachinko slot machines in Japan. There are actually two art books featuring the Rio de Channel, so I'm surprised they haven't found a way to make her an anime character yet! Rio is also featured posing in a variety of different outfits. 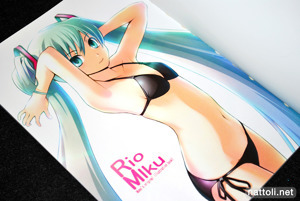 The Rio section is slightly larger than the Hatsune Miku bit, tallying in at 14 pages (and all great art work) while Hatsune Miku only gets 10 (and some really amateur looking art work). Any Rio de Channel fans out there? I'm assuming there are plenty of Hatsune Miku fans, but Rio is really only a pachinko slot character, so how great a reach could she have outside of Japan? 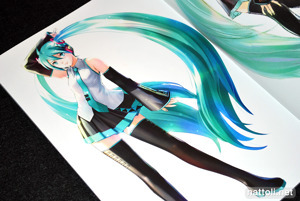 Anything with Hatsune Miku in it rules! This guy uses nice colors, not a huge fan of his style though, the way he draws faces seems a little amateur. 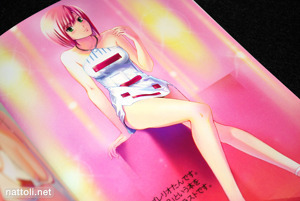 Given that this is from comiket 74 I assume you can no longer get this right? 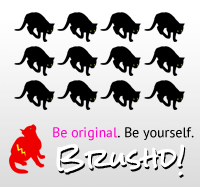 Nothing's impossible to get, just harder to get. If you're interested in it, search for it on the auction sites regularly, that's how I've come to acquire most of what I have. I wasn't remotely interested in buying doujinshi until last year around this time.